Please be aware that during meetings sometimes our parking lot fills up. If this occurs please park in the Partnership II parking lot, which is on the corner of Research Parkway and Technology Parkway. From the Orlando International Airport merge onto FL-528 East Beachline Expressway via Exit 1A towards Cocoa/Kennedy Space Center (tolls). Merge onto FL-417 North Central Florida Greenway via Exit 16 toward Orlando/Sandford (tolls). Merge onto FL-408 East East West Expressway via Exit 33A toward Titusville (tolls). Merge onto Challenger Parkway via the exit on the left (tolls). Turn right onto Ingenuity Drive. Turn left onto Science Drive. Turn right onto Technology Parkway. In approximately 300 feet turn right. The building on the left is 12354 Research Parkway (Partnership I). 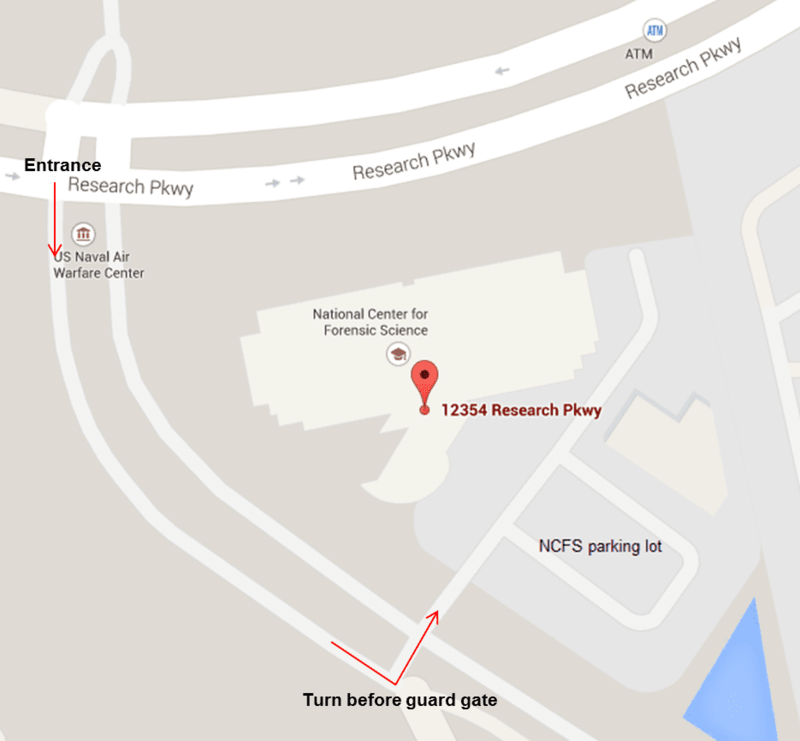 Turn left before the military guard gate to enter the parking lot. Our administrative offices are in suite 225.